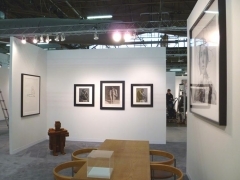 Sean Kelly Gallery is pleased to announce that we will be exhibiting at the 2010 Armory Show (Booth 701, Pier 94). 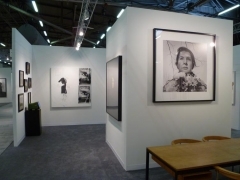 Our booth will include an impressive group of new works by Marina Abramović, Los Carpinteros, James Casebere, Iran do Espírito Santo, Antony Gormley, Laurent Grasso, Rebecca Horn, Callum Innes, Joseph Kosuth, Wolfgang Laib, Robert Mapplethorpe, Anthony McCall, Julião Sarmento, Frank Thiel and Gavin Turk. To mark Marina Abramović's forthcoming retrospective at The Museum of Modern Art in New York (March 14 until May 31, 2010), we will present two new photographic works including the debut of Golden Mask (see above) as well as her most recent video work. To honor James Casebere's participation in the 2010 Whitney Biennial, we will show his latest and most ambitious photographic image, Landscape with Houses (Dutchess County, NY) #1. To celebrate Antony Gormley's forthcoming major outdoor public installation Event Horizon, which will be exhibited in New York in and around Madison Square Park from March 26 until August 15, 2010, and our exhibition of new works at the gallery from March 25 until May 1, we will show two outstanding sculptures and a group of works on paper. 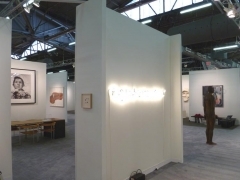 For the first time at the Armory Show, we will show works by Laurent Grasso, a French born artist, who has just joined the gallery. The recipient of the 2008 Marcel Duchamp Prize, Grasso is known for making work that blurs the lines between belief and reality, memory and perception, present, past and future, technology and natural phenomenon. 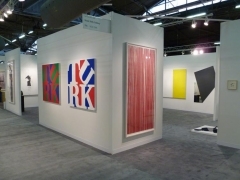 The Armory Show will open to the public on Thursday, March 4 and will continue through Sunday, March 7. It is open daily from noon to 8pm, and to 7pm on Sunday. 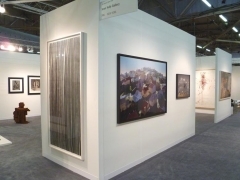 We look forward to welcoming you to Booth 701, Pier 94. 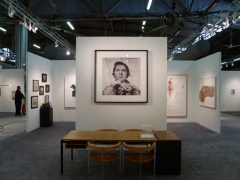 Additional information can be found at www.thearmoryshow.com and at www.skny.com.